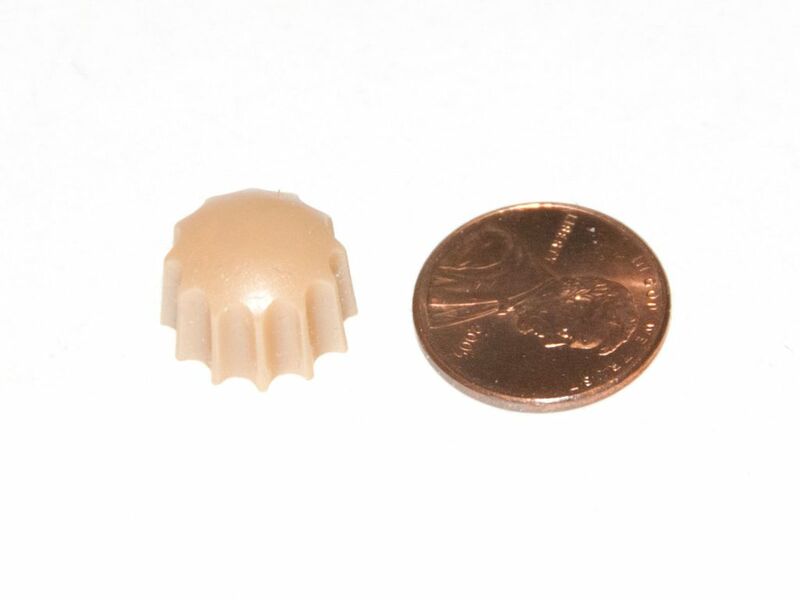 This small knob is found on several RCA models. Fits a 1/4" flatted shaft. Many different colors were used on RCA radios. This one is an aged tan color. Paint it to match your radio's scheme or use it as it is. Fits on a 1/4" flatted shaft.